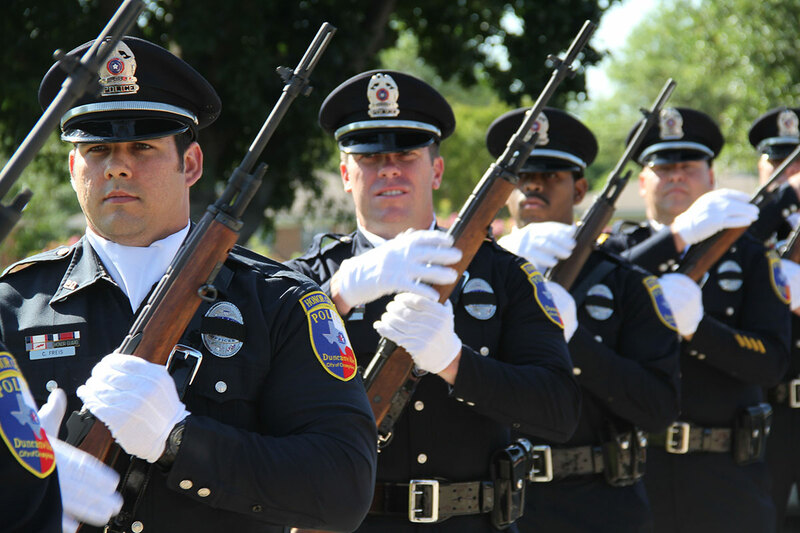 The Duncanville Police Department Honor Guard takes part in various functions throughout the year. 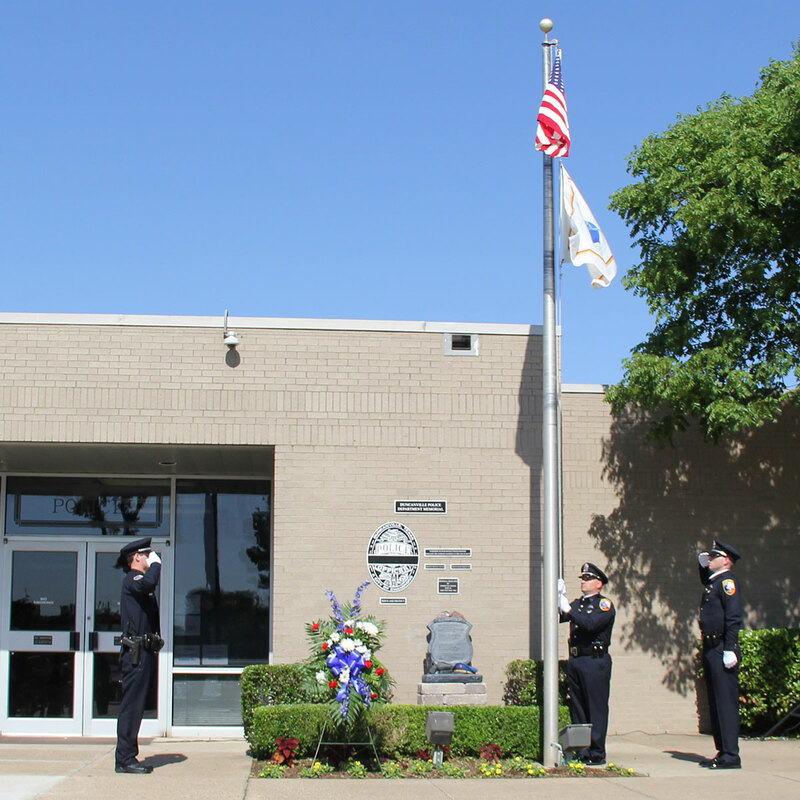 One such function is the ceremony on National Police Memorial Day at the Duncanville Police Department where we honor all officers who have fallen in the line of duty, and pay special tribute to Duncanville’s own Sergeant Michael Poe and Officer Roger Hobden. 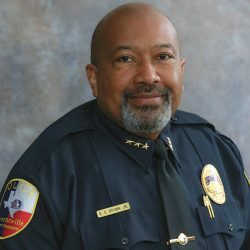 The Honor Guard takes part in the annual 9/11 Memorial Ceremony and also leads the annual Independence Day parade through the streets of Duncanville. 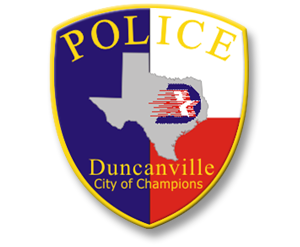 The Honor Guard is dedicated to presenting a positive image of the Duncanville Police Department and the police profession in general. 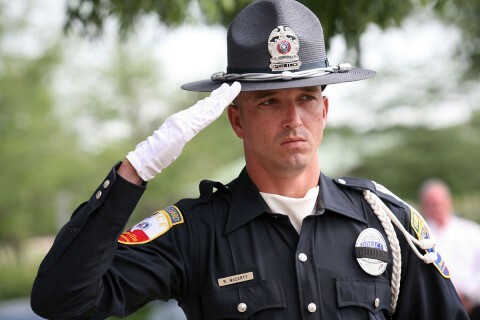 The ultimate goal of the Honor Guard is to show honor and respect to the men and women of law enforcement and the armed services who have made the ultimate sacrifice while carrying out their duties.